Our career services team includes Assistant Dean for Career Services, Susie Park and Deirdre Kelly. In addition, our office assists employers with their recruitment needs and develops new job opportunities locally and abroad for students and alumni. The counselors' legal experience stems from a variety of legal employment settings, including large private firms, public interest organizations, boutique firms, and solo practice. Our counselors are also very active in the legal community and continue to build invaluable relationships with alumni and employers. We are located in Kennedy Hall, Suite 303 of the Dale E. Fowler School of Law. 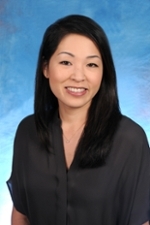 Administrative Hours: Closed Every Wednesday: 2:00 - 5:00 p.m.
A native of Southern California, Dean Park graduated from the University of California, Irvine with a degree in English and then went on to earn her Juris Doctor from the USC Gould School of Law. As a law student, she served as a legal writing fellow and editor of the Southern California Interdisciplinary Law Journal. Following law school, Dean Park worked as a corporate associate at Sheppard, Mullin, Richter & Hampton LLP and McDermott Will & Emery LLP where she focused her work on mergers and acquisitions and finance transactions. She then worked as a freelance attorney in Los Angeles and Orange County. Prior to joining the Chapman Fowler School of Law, Dean Park served as the Assistant Dean of Career and Professional Development at Whittier Law School. Her current duties as Assistant Dean include overall administration of the Career Services office; counseling students and alumni; maintaining and establishing relationships with employers; and acting as a liaison between students, alumni and employers. Director Kelly is a commercial and real estate litigator, who practiced for nearly 20 years before teaching. Prior to joining Fowler School of Law, she served as Externship Director and professor at Whittier Law School. Director Kelly is also currently the Orange County Bar Association (OCBA) President, an an active member of the Celtic Bar Association, the Association of Business Trial Lawyers (OC), and the William Gray Legion Lex Inn of Court, and past President of the OC Women Lawyers Association. As Chair of the OCBA’s Law School Task Force, she also helped create a student membership program that brought all of the 2,000 students at the four Orange County law schools into the OCBA. Director Kelly holds a JD from Loyola Law School and a B.A. in international relations and affairs from the University of Southern California.